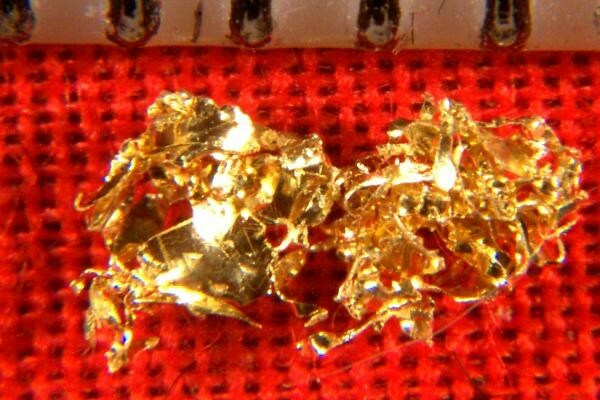 I have only seen this once before on a Round Mountain gold specimen that I sold over a year ago. The only thing I can call this is "gold wool" because it looks like steel wool. 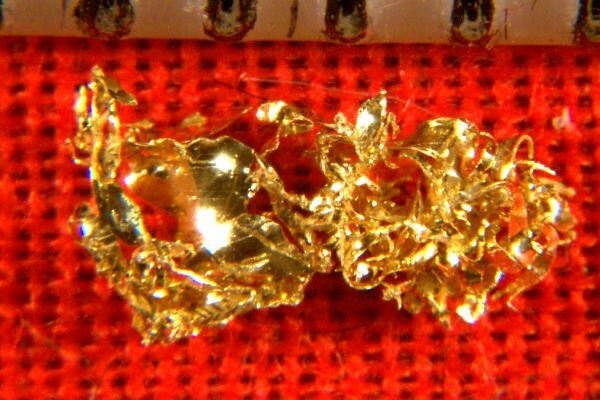 The gold specimen is 1/4" (6 mm) long and is made up of very thin and flexible gold wires, wound together in an intricate manner and best seen under magnification. I have no idea how something like this was formed. A mind boggling natural geological rarity for sure.